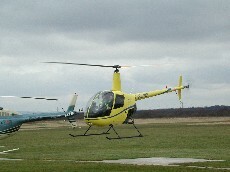 Gary Cooper runs Helicopters Northwest at Barton Airport, Manchester. In this episode of Flying Podcast I find out why people fly helicopters, the choice of helicopter available, how helicopters fly, the services on offer at Helicopters Northwest, the training syllabus and problems that people may come across during their flight training. Gary explains what’s involved in the syllabus, which is very similar to the fixed wing syllabus as far as the exams are concerned. He also gives us a quick run-through of how the actual flying course progresses. 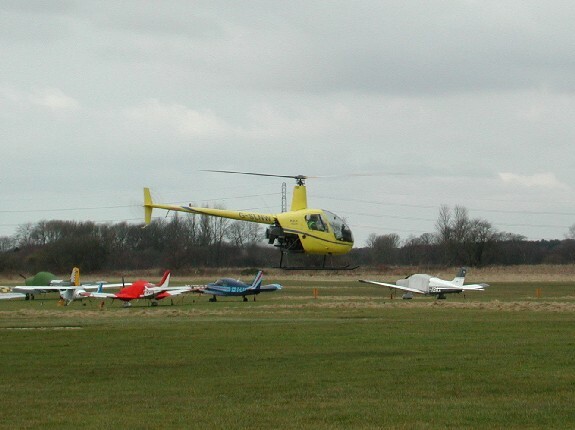 In addition to PPL(H) training, Helicopters Northwest offer type conversion training for different machines. 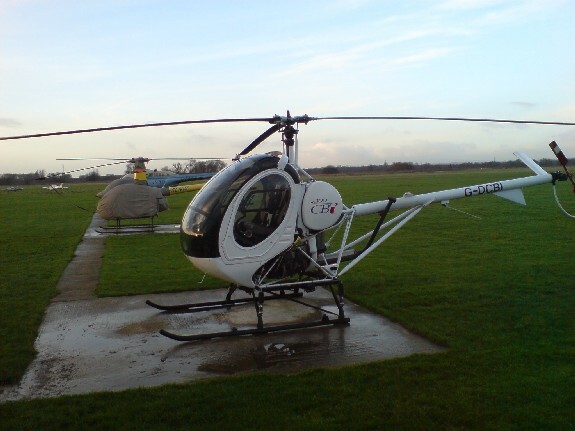 As flying helicopters is `type specific’, you have to fly 2 hours per year per type to maintain currency in addition to doing the Licence Proficiency Check (LPC) each year. Due to the current economic climate, Gary reckons that there aren’t many career opportunities in commercial helicopter flying at the moment but he is confident that the market will pick up and maybe now is the time to start your training. If you wanted to become a flying instructor, you currently need a CPL but Gary says that this is a considerable expense – maybe Â£40-50,000 – and even then you aren’t guaranteed work at the moment. Gary goes on to say that European legislation may do away with the need for the CPL in order to be a flying instructor as used to be the way when you just needed 250hrs of PPL experience prior to doing your FI course. 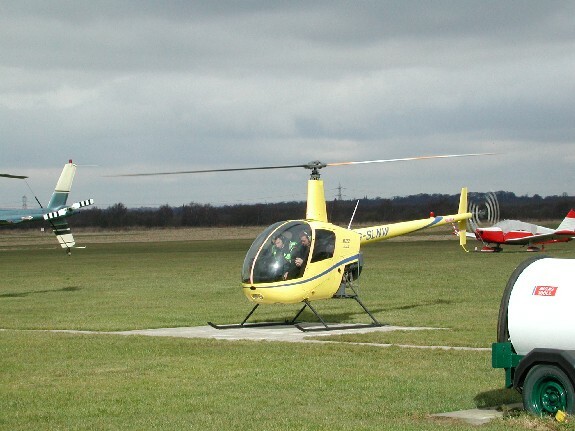 In addition to training Heli Northwest organise fly-outs and parties. They also rent aircraft out and offer a special bulk-hour deal where you can continue your training and rent an aircraft with one payment. Helicopters Northwest is operated a bit like a club, keeping in touch with past students unlike some fixed wing training establishments which can just ignore their students once they have gained their PPL. An interesting point that Gary raised, which surprised me, was the problem of `vortex’. I’d never even thought that you needed to land into wind and what the possible problems with landing down wind might be. Apparently, landing down-wind might mean you flying into your own down draught. There is of course the extra issue caused by the fact that often you might be landing away from an aerodrome. I take it for granted that everywhere I fly in a fixed wing aircraft will probably have ATC or at least a wind sock but not so with helicopters. So Gary stresses the ongoing training needed to be proficient at judging wind direction, speed etc. All very interesting stuff. I hope you enjoy this podcast as much as me! This entry was posted in All Podcast Episodes, Flight Training, Helicopters and tagged Aviation, Barton, City Airport, Flight, Flight Training, Flying, General Aviation, Helicopter, Podcast, podcasts, PPL by admin. Bookmark the permalink. Great podcast. Really enjoyed listening to Gary talk about helicopters and flight training. Geoff. What a great podcast. I agree with Gary in that now is a great time to begin helicopter training, because there will be many positions to fill when the world economy picks up again. There will always be a need for qualified helicopter training schools and qualified graduates.